* Update 1/17/14 – Updated design to be more accurate to the movie "Batman Begins". You can see all these pictures in higher resolution on Flickr by clicking here. 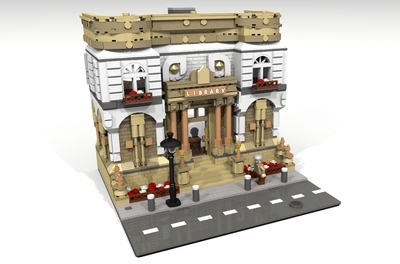 If you are interested in building this, I have posted the LEGO Digital Design file on lego.com, here. Just search for "Batman 2 Seater Tumbler" in the creation name search box to download the LDD file. Attention Batman fans and LEGO fans alike; this project needs your support to be made into an official LEGO set. All you have to do is click the big green button to the right of your browser. It's free! Please post this page on blogs, Facebook, Twitter or any other online outlet you can think of. Spreading the word is very important in order to reach 10,000 supporters. If this project does not reach 10,000 supporters by April 30, 2015, this project will go back to zero supporters and we have to start all over again. Spreading the word is more important now than ever! Once it gets 10,000 supporters, LEGO reviews it. Click here to see high resolution image. I am a huge fan of Christopher Nolan’s movies and The Dark Knight Trilogy. I actually bought the original LEGO Tumbler set when it came out and loved it, but like others, thought it was a bit big. Of course, the bigger the better, right? Recently due to circumstances out of my control, I had to get rid of my LEGO collection. After starting to build up my new LEGO collection, I wanted to make a custom Tumbler since LEGO did not offer a black one anymore. I have never built a LEGO model that was based on a real thing before. I have been building with LEGO bricks ever since I was about 6 years old (maybe earlier), but I have always just made the sets I got or made my own LEGO models. The Tumbler is one of my favorite batmobiles of all time. I loved the Tim Burton one and the "Batman: The Animated Series" version, but when I saw "Batman Begins" as an adult, I just thought the Tumbler was an incredible piece of machinery. They actually made the Tumbler in real life too. It’s not just a go-cart with a fiberglass shell on it. I am not a car buff by any stretch of the imagination either, but when you see and hear the thing drive in real life, it is just so amazing. 2015 marks the 10 year anniversary of the "Batman Begins" movie and it is the perfect time to release a commemorative set of the Tumbler. The idea of this project is for LEGO to release a Tumbler that accurately reflects the movie version in minifigure scale and is more of an ultimate collector’s edition than a play set. However, it is fun to play with and sturdy. I have been known to jump this over "comforter canyon" and drive on the "linoleum lane" a time or two. 1. Windshields that you can see the minifigures through. 2. Clear angled pieces on the sides to mimic side windows. 3. Clear angled pieces on the top and sides of the nose for when Batman drives in stealth mode or uses the guns. 4. Piece to mimic guns on both sides of the nose. 5. Angled armor plating everywhere. 6. Stealth mode intakes/vents by the flaps of the tumbler. 7. Lights include: 2 turquoise blue clear pieces in front, 1 turquoise blue clear piece in upper left hand corner of windshield and another on the upper right hand corner, 1 turquoise blue clear piece under each upper intake/vent. 8. Big jet engine air intakes on each side of the tumbler. 9. Piping on top of the Tumbler (not sure why it is there on the real Tumbler, but looks cool). 10. 6 movable flaps on the back to put the Tumbler in jumping mode. 11. 2x4 sloped tile to mimic roof air intakes. 12. 2 rear shocks that are purely decorative. 14. 4 big tires on the back with off-road tread. 15. 2 smaller smooth racing tires in the front. Interior is big enough to fit 2 minifigures in the upright sitting position. Roof/hatch can be put on with an official Batman minifigure and passenger inside. 1. Joystick style steering wheel with movable joysticks. 2. Computer screen/buttons in center console with static lever. 3. Passenger side angled computer screen/buttons/gauges. 4. Seats designed to allow a passenger and an official Batman minifigure to fit inside with Batman’s cape on. The cape can fit without being crammed too. 5. 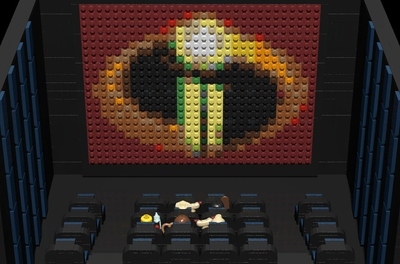 Seats include LEGO nubs for the minifigures to lock in and not move around when playing. Seats are grey so the interior is brighter and you can see Batman better. I should also point out that this set has very few Technic elements. The only Technic elements are for the rear axle assembly. I have removed the bat signal and Gordon from this set to keep the price down. This way the Tumbler can be released with as much detail as possible. My Tumbler design is just the starting point. 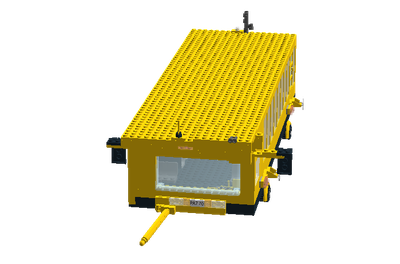 If this project gets 10,000 supporters and is reviewed by LEGO, they may update the design to fit in with LEGO’s high standards and reduce the part count. This set has 413 pieces as is. If it doesn't increase the price too much, I would like a Lucius Fox minifigure included since he was so integral to the introduction of the Tumbler in "Batman Begins". Also, LEGO has never released an official set with a Lucius Fox minifigure. I would like LEGO to make a black Batsuit with the Nolan Batman symbol on the chest. Accessory for Batman would be the batman ninja star (LEGO batarang). 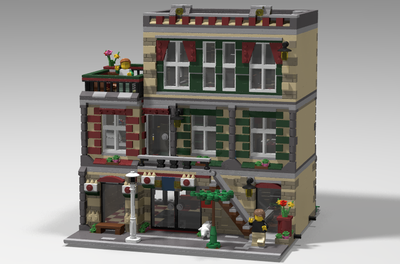 If you are interested in building this, I have posted the LEGO Digital Design file on mediafire, here. 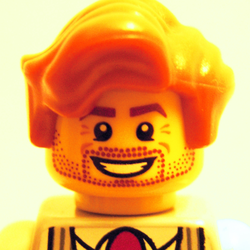 I have also posted this on LEGO.com, here. Just search for "Batman 2 Seater Tumbler" (without the quotes) in the creation name search box to download the file from LEGO.com. If you would like to build the first version I did of the Tumbler (not pictured on this page), instructions can be viewed/downloaded at the following links. However, the new version includes an updated exterior design to be more accurate to the movie. The windshields are more angled, the flaps are moved back further and the design is one plate lower with the same ground clearance as my previous design. The interior is also redesigned to be more spacious. The hatch can now be removed for easier access to the interior and for better lighting when viewing. If anyone builds my Tumbler in real life, I would love to hear what you think about it. I am very happy with the design and I don’t think it will ever leave my nightstand. However, I can't say the same for my wife never leaving me, since she will be dusting it everyday for the rest of our lives. If you like this project, you may also like these other Cuusoo projects my wife and I made. An Invader Zim House and Voot and a Red-eyed Tree Frog.